Flipkart has fired the first salvo following the completion of the the holiday season in which Flipkart, Amazon, Paytm Mall, and Snapdeal had held simultaneous sales. Flipkart has claimed that it accounted for 70% of all e-commerce sales during the period. “During this BBD, Flipkart did sales which equals 70 percent of the entire online e-commerce market in India. We created history by growing sales by 100 percent this BBD versus last year,” said Smrithi Ravichandran, senior director at Flipkart. Amazon, though, was quick to debunk the claim, calling it ‘poorly informed and speculative’. “Amazon.in remains the largest marketplace and the fastest growing one in Indian e-commerce landscape,” Amazon India said in a statement. Sales seasons are typically followed by bickering over claims by participating entities. Last year, after Amazon had claimed record numbers, Flipkart had dismissed its numbers by saying they’d sold churan and hing, while it had sold smartphones. “We did not sell ‘churan’, ‘hing’, detergent, products of daily-need and virtual memberships. We sold products that people love to buy during the festival season such as smartphones, LED and apparel,” then Flipkart CEO Binny Bansal had said. It’s hard to corroborate any of the claims made by e-commerce sites, but we’ve been using search interest on Google as a proxy for how popular sales were. While it doesn’t give insights into GMV, it does provide pointers to how much buzz brands were able to create about their sales. Two years ago, Flipkart was comprehensively ahead of Amazon in search numbers. Things have narrowed since then, but Flipkart had managed to edge out Amazon last year. Things are incredibly close this year between the top two players, with search interest between the two companies being virtually indistinguishable. Interest in Flipkart surged as its sale began at midnight on 20th September, outstripping Amazon at that point. 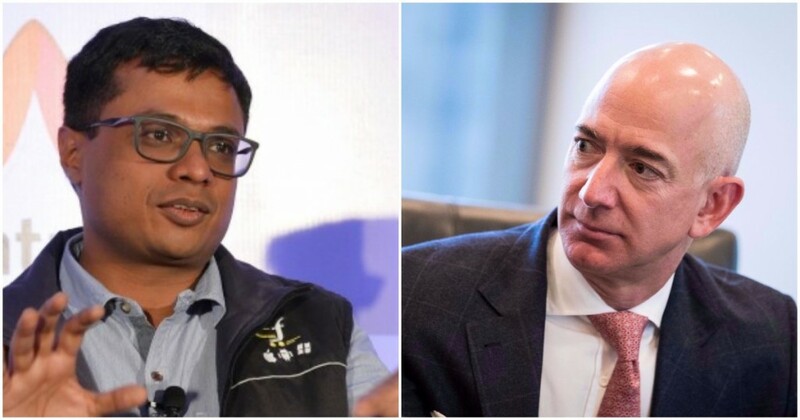 Flipkart maintained the lead until Amazon began its own sale at midnight on the 21st, at which point searches for the two became nearly identical. Flipkart and Amazon were neck-and-neck until the sales closed on the 24th. Crucially, Snapdeal, which had had comparable search interest over the last few years, completely fell off the radar, with its numbers being a fraction of the two larger players. Paytm, which had offered Rs. 501 crore of cashbacks in its sale, appeared to garner more interest than Snapdeal, though it was still far behind Flipkart and Amazon. While Flipkart is competitive with Amazon during the festive sales, it will find it hard to match the strides Amazon’s made in India over the last few years. Amazon didn’t even register on Google Trends until it launched in India in 2013; since then, it has slowly and steadily made ground over Flipkart. Amazon went past Flipkart in early 2016, and had been gaining ground since then — at this point, Amazon alone seems to command more search interest in India than Flipkart, Myntra and Jabong combined. This changes during the festive sales, when Flipkart is at par with Amazon — but Flipkart’s real challenge might be to find regular shoppers once the sales are over.